Need help training your dog? Learn all the best methods! Success in training your dog begins with you! Learn all about when, how and what techniques you need for training your dog. My goal is to help you break the barriers of communication and to show you the fastest, easiest, most comfortable and effective methods of training your dog. I will do this in simple and easy to understand terms so that everyone can benefit from the information and experiences found in these pages. Just as in a dog’s world, simplicity is the answer and the key to most situations and questions; keeping it simple is always the best way to learn! Are you sure that your dog understands you? Do you know how to deliver the message? I can’t emphasis the importance of this enough. As the dog’s trainer, you are the one in the relationship who has to deliver the message to your dog. This website will help bring your two completely different worlds closer together with knowledge, understanding and action. Dog behavior …the good, the bad and the ugly. Understanding when and why these behaviors happen, and what to do about them. We have all heard the expression ‘You can’t teach an old dog new tricks’ But don’t worry; the truth is that it’s never too late to start training your dog…or you! And it’s never too late to start discovering and learning more about dogs. Even now, over 20 years since I’ve started working with dogs either in military, law enforcement or civil services I still learn and discover new things. Training your dog is the easy part. Training yourself is more demanding. Once you master your own knowledge, applying that knowledge to your dog is a piece of cake. As you begin, I would like to congratulate you, because by being here and by doing your research, you have started ‘training you’. That means that you are investing your time and effort to change and to make your relationship with your dog better. In following through with the information and resources found on this website you will start training your dog and I have no doubt that you will both see great success! I have included all of the best techniques, highly-rewarding and positive methods of dog training that have been proven successful, world-wide. Please use the links on the left side or on the bottom below this text. They are where you will find all of the more specific and detailed information that you are looking for. Dog Behavior, whether good or bad, has an impact. The key to managing that impact and the behavior is to understand why and how it was created in the first place. 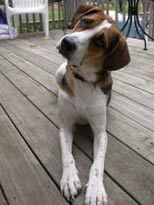 Dog Behavior and Training Are Often Related. Knowing How Can Help With Issues. Dog Behavior and Training can go hand-in-hand. A lack of one can result in unwanted habits of the other. Understanding this relationship can help deal with many of the issues that can arise from it. Dog Behavior and Environment: The environmental elements affecting our dog’s behaviors and daily life need to be understood to be effectively managed. Desensitizing and counter-conditioning is a humane and effective behavior modification technique to help change your dog’s emotional response and succeed in overcoming stressful situations. Behavior Adjustment Training, although a relatively new approach, this dog-friendly technique is fast becoming a great therapy option for dog behavior modification. Constructional Aggression Treatment is a technique based on the science of operant conditioning. It can be an intensive therapy that has been proven effective when performed correctly. Flooding Therapy in Dog Training can sometimes be effective, but can most commonly cause more issues if not performed properly. Attention Seeking Behaviors can develop into serious problems for dogs and their owners. Learn how to address these so that you can live together harmoniously. Chasing is a natural,instinctual behavior for a dog, but it can lead to serious issues or even fatal injuries.Work with your dog to help address this issue before it’s too late. Fearfulness in dogs requires a special approach when being addressed. Learn what causes these fears and how to help. Dog jumping can not only be a nuisance, it can also become a dangerous behavior. Learn about this dog behavior and how to deal with it. Resource Guarding Can Be a Very Serious and Dangerous Dog Behavior Issue. Resource Guarding: Learn about what this dangerous behavior issue is and how to prevent it. Counter Surfing is an All Too-Frequent Dog Behavior Issue for Many Dog Owners. Counter surfing can prove to be an overwhelming frustration for many dog owners. Learn about why this occurs and how to prevent it. Mouthing is a normal form of interaction for puppies and dogs, but it is not an acceptable interaction with humans. Learn how to properly address this common concern. Clicker Training: Communicating with Your Dog, Positively and Effectively. Clicker Training and Marker Training are the best tools available to help you communicate with your dog and establish a successful language that can be used in all areas of your life together. Pros and Cons: Is Clicker Training the right choice for you and your dog? Pros and Cons (also known as the benefits and limitations) of Clicker Training are explained here, so that you can determine if this is the right concept for you and your dog. The type of reward that you select when training your dog is an important factor in your success. Learn all about what type of reward to use with clicker training. Charging the Clicker is the Key to Preparing Your Dog for Clicker Training! Charging the clicker is how we explain its meaning to our dog, and without this crucial step, the clicker cannot be used properly as the training tool that it was intended to be. Your reinforcement ratio will help shape your dog’s behavior and will help increase the speed at which your dog responds and succeeds in training. Cues are used to help us communicate our expectations to our dog. These signals allow us to explain what behaviors we want. The criteria that you use are your action plans for success in training your dog and you. Clicker Training Basics and How to Get Started! Clicker Training Basics are all about how and where to get started with clicker training. Beyond the Basics: As You Progress with Training, This is What You Need to Know! Beyond The Basics will bring you through the how and why so many people tend to give up. Understand these concepts to help ensure your own success! Dog Obedience Training is the most common type of training and you want to get it right! Find out what the best dog obedience training techniques are for your dog and you! There are a few dog training phases, and you must progress through each of them in order to reach success in your dog training, regardless of what you are training for. Building a relationship with your dog is the most significant factor for success in training and for a happy life together. Learn the importance of this relationship and how to build it successfully! Drive, instinct and other fundamental learning skills that our dogs offer us naturally; Learn how to harness the power of these and work with your dog, to benefit your training. Dog Training Corrections are controversial, but what do we know of them? The fact is that we all use them in some way. Learn what a correction actually is. Dog training mistakes, myths and misbeliefs can lead many dog owners astray and far from their training goals. Learn how to recognize the more common of these so that you and your dog can avoid them. Training positions in dog obedience training can be done with different techniques, learn how to use these techniques and the 3 rules to make them successful. Training your dog to sit is a very valuable and easy dog obedience command to teach and learn,and is the most frequently used in our day to day lives. The down command is a very useful command throughout our everyday life and it is one of the main commands in dog obedience training and dog competitions. The Recall Command should be the first of the dog training commands that you teach your dog. Be confident that your dog will come to you when called. The Leave It command is commonly used when you want your dog to leave or ignore an object and this can be very useful when taught correctly. The No Command - How to Properly Train Your Dog the Meaning of it. By properly using the No Command in dog training and everyday life, you can clear up any confusion your dog might have about what behaviors are unwanted. Retrieve Training with Your Dog is a Fun Game and a Valuable Skill! Retrieve is used in competitive sports and in daily life. It is a dog training command as well as a fun and interactive game for you and your dog. We all use some form of dog training equipment, but do you know what to choose or how to use it properly? Learn all about this imperative information for the success of your training. Puppy Socialization Is Inevitable, Doing It Right Is Imperative! Puppy Socialization is an unavoidable part of puppyhood, whether it is done properly or not will determine the course of your dog's life. Understanding puppy development is important in getting your puppy started out on the right track for success. It all starts here! Socializing Your Puppy Is A Crucial Step, But Be Sure To Do It Properly! Socializing your puppy is vital, but you only have one chance to get it right; the window closes fast and your dog is only a puppy once! Playing with your puppy is an important communication and relationship building activity that you can’t afford to miss out on. Puppies and Distractions: It is during this stage in a dog’s life that he learns how to react and deal with distractions in his daily environment. Puppy training is a key step in creating a solid base in your dog's life. If done properly, it will make future training easier and more successful. Crate training a puppy will be an asset for years to come, but introducing this step properly is the key to your success with dog crate training. Puppy potty training is likely the first step that you will do with your dog, other trainings are optional but you can't avoid house training a puppy. Puppy Obedience Training -Get Off on the Right Foot,From the Start! Puppy Obedience Training is a stepping stone for any later training that you will do with your dog, these first steps are easy and very important. The most important of all Puppy Training Tips is that you will need a lot of patience, determination, and then more patience, but here are a few more! Avoid the most common mistakes and find out everything that you need to know about dog adoption to make the right choices for you and your new dog! What Type of Dog to Get and How to Decide. When deciding on the type of dog to get, you have to consider each of the following factors. What you should know about choosing a dog. This may not be an easy task,especially if you are not sure of what to look for,but these steps will help. Ready for a trip to the dog shelter? It may be harder than you think.It is easy to make a mistake,so to avoid that you can follow these simple steps. Dog adoption is a wonderful chance to make a difference in your life and in the life of a dog, but beware of the common myths that can tarnish any adoption.